Crassula Buddha’s Temple would look lovely as a feature sitting up on your table. It is a collector’s succulent and grows very slowly, so you could pop it in your favourite pot and it would not need to be replanted. It has tightly stacked grey leaves and resembles a temple. A natural piece of art in your studio, on your desk, or wherever you need that touch of tranquillity. 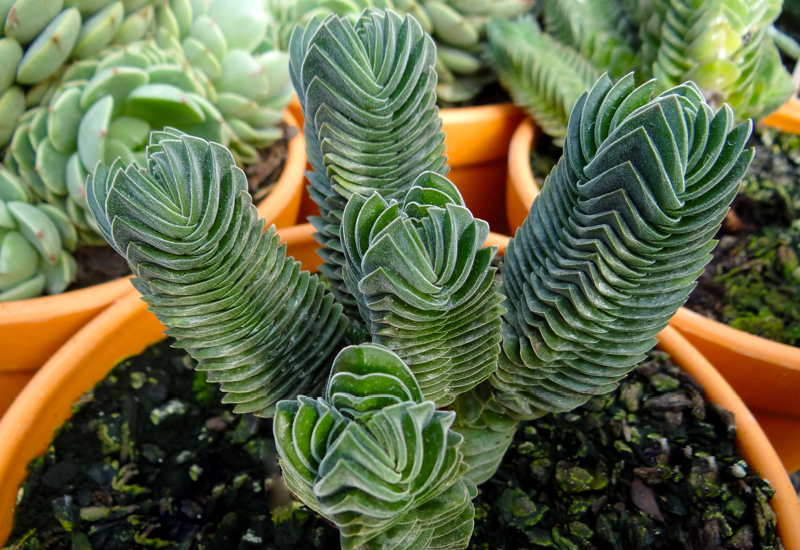 Genus Species: Crassula "Buddha's Temple"